Baylyn Recruiting - Helping CDL Drivers all over America find quality local, regional, and OTR jobs is what we do best. Help keep America Fed! You choose your lane! Drivers are needed in Madison, CA! As a family-owned company, we have the stability, top-of-the-line equipment, routes, and technology that provide you with the best routes in the country. There’s never been a better time to seek employment in the trucking industry. Drivers are in massive demand all across the country and they need Class A CDL holders in order to fill them. Demand likely isn’t going away any time soon, so the transportation industry will provide both the salary and the security you need to have a successful career. We have never laid off a driver due to lack of freight. If you are looking to change up your driving routes we have our Careertrak system that allows you to apply for any of the employment openings across the nation. 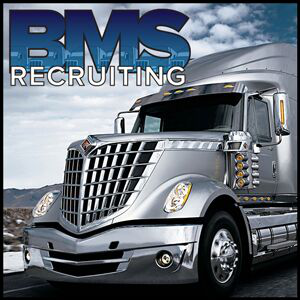 We are seeking truck drivers that have a safe and clean employment record and can handle 12 Gears, 18 Wheels, 40 Tons, 80 Feet, and 400 Horsepower! If that sounds anything like you, go ahead and apply now!